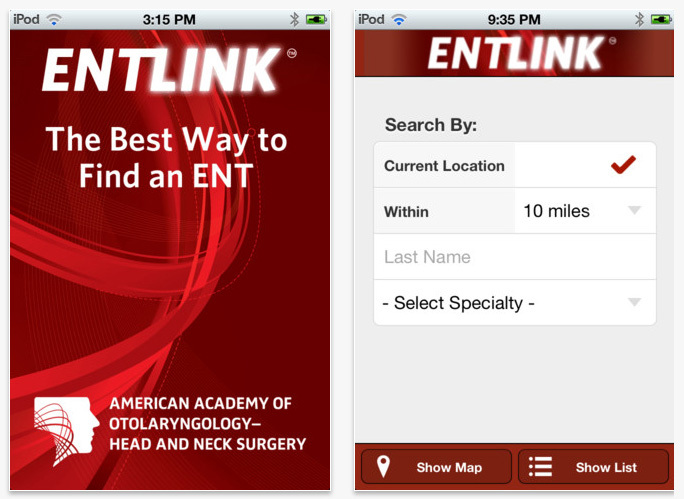 If you have an iPhone or Android, get the ENTLink App... You can search for an ENT by current location or by zip code. 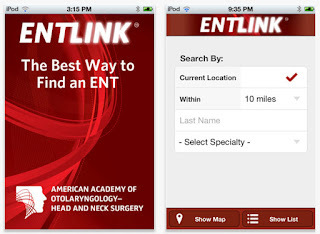 The search can be narrowed to a specific specialty area (laryngology, neuro-otology, rhinology, etc) as well. Of course, you can search for the same information from the website.